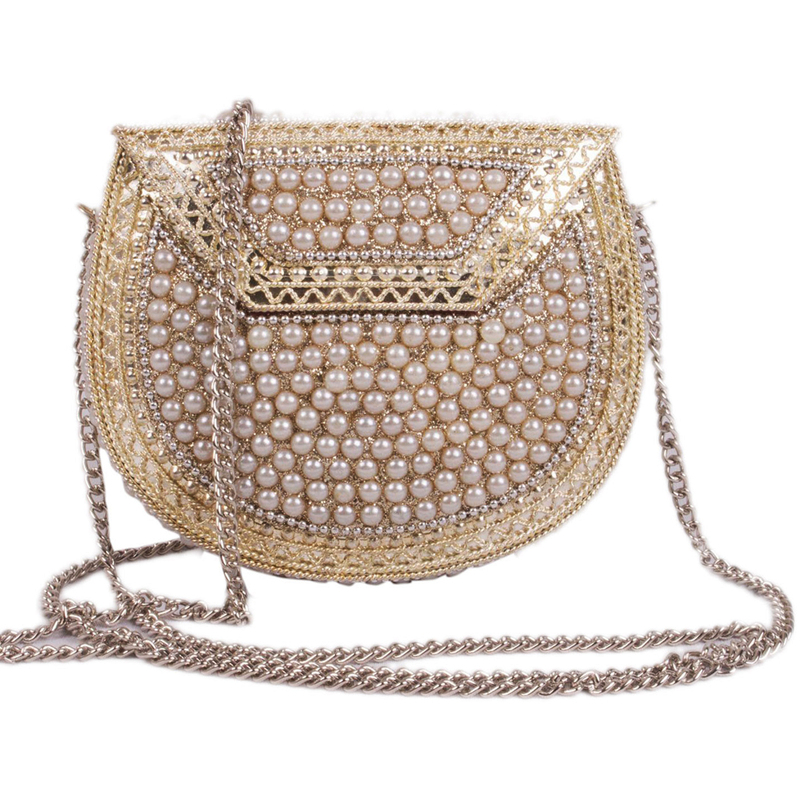 Stand out of the crowd in a party by carrying this metal & pearl party clutch. This designer clutch provides you ample space to keep your belongings organized with style & can be your ideal companion for every occassion. Add an extra feather in your fashion by choosing this party clutch. If you are preparing yourself for a special occasion, this would be your Read More..perfect companion with elegance & style. The metal lining strengthens the outline of the clutch & makes it extremely long lasting. Several pearls are fixed on it in a synchronous way & create a beautiful chain of design. 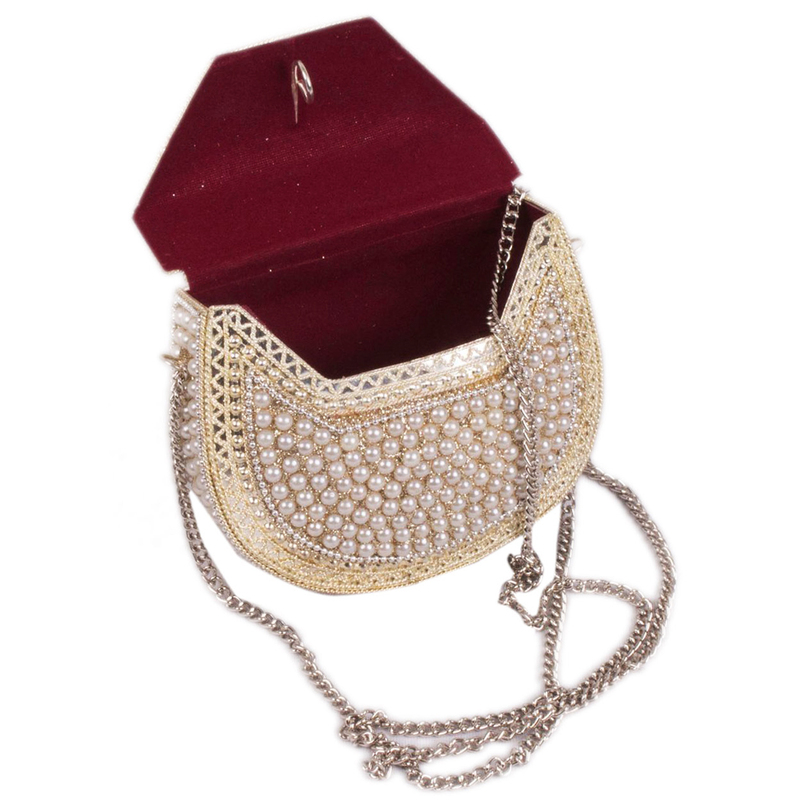 If you r going for a party and planning to wear any ethnic or casual dress, this party clutch will create a perfect combination of style statement. The spacious compartments will give you provision to keep your stuffs properly. The magnetic snap-flap closure & crossbody strap ensures extra protection & easy handling. Placing order with boontoon is very easy! Just hit the order now button! Show Less..